Yeah, I said. Los Altos is back!!! Note: The next All-Encompassing Top 25 will be out just before the start of the season. We’ve now had spring practice, passing games and a transfer season to digest and help form better opinions. 2. La Mirada — Maybe the nontstop hype is getting to me. 3. La Habra — Got transfers and size, they’re back. 4. Chino Hills — Reloaded and ready to re-claim Sierra. 5. Charter Oak — Still talented, but experience is lacking. 6. La Serna — Seeking third straight finals appearance. 7. South Hills — Opened eyes by winning Santa Fe tourney. 8. Monrovia — Run-heavy team had so-so passing circuit. 9. Los Altos — Here it is, my SURPRISE TEAM. 10. St. Francis — Like what I’ve heard about talent level. 11. West Covina — Formidable again if adequate QB is found. 12. Diamond Bar — Loaded with skill guys even sans Noodles. 13. San Dimas — You don’t lose Jake Payton and get better. 14. La Salle — Poised for another big regular season. 15. Diamond Ranch — QB play is key for Panthers’ chances. 16. Claremont — Ready to be a factor again in Sierra. 17. Santa Fe — Beat La Mirada in ’12 and QB looks legit. 18. Arroyo — Another quality product forthcoming. 19. Muir — Quiet on passing circuit is worrisome. 20. Rio Hondo Prep — Tayco left, Tayco right, Tayco all night. 21. Montebello — Confirmed: Talent is improved. 22. Bonita — Nothing flashy, but solid all around. 23. Rowland — RB DUffus + excellent O-line. Scary again. 24. Whittier Chr. — Program maintains quality. 25. 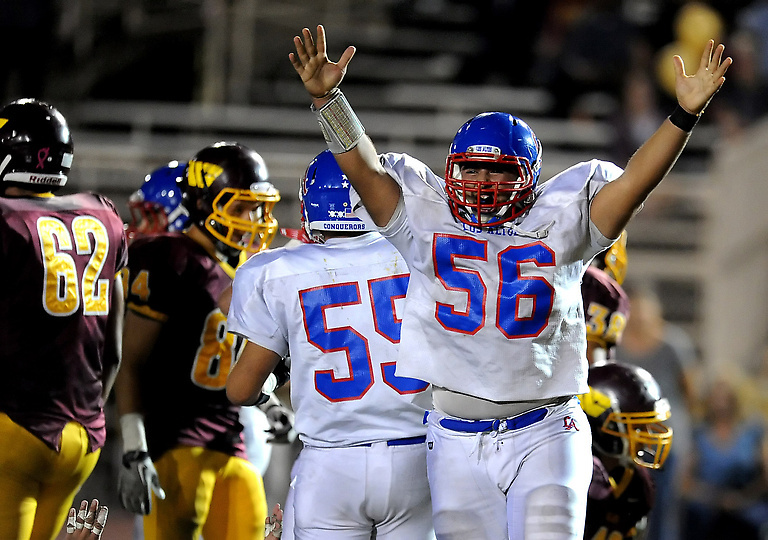 Duarte — Might be too athletic for Montview. CIF has declared standout running back Jake Payton ineligible for the 2013 season after San Dimas challenged his transfer to Upland. The information was posted on the CIF-Southern Section’s website on Thursday afternoon and cites violations of Rule 510, which is the athletically motivated/undue influence bylaw. San Dimas challenged Payton’s transfer on both grounds. Payton, an a Tribune All-Area choice at running back last season and the reigning Valle Vista League MVP, rushed for 1,628 yards and 22 touchdowns in 2012. San Dimas originally said it would not challenge Payton’s decision to leave for Upland, but earlier this week Saints coach Bill Zernickow confirmed the school had a change of heart. Payton had been with San Dimas up until shortly after the end of the school year. Rumors of his plans to leave for Upland swirled in the months prior to him actually going. Payton practiced with San Dimas during spring practice. He later participated in passing tournaments with Upland. Aram’s take: So now the burden of proof is on Payton/his family/Upland to prove the allegations are untrue. If not, the area sees another standout lose his season to a HORRIBLE RULE. Roddy Layton has been involved with the Pomona Unified School District nearly all of his life. First as a student from kindergarten until his days as a football standout at Ganesha High School, and now as the varsity football head coach at Diamond Ranch where he’s taught for the past 18 years. So it’s understandable the pride that’s building in Layton as the district nears completion of a project that will see new on-campus football stadiums featuring AstroTurf fields open this fall at Diamond Ranch, Pomona and Garey high schools. Ganesha, which was used for years to host games for other schools in the district, will have its new playing surface in time for next season. Thanks to a voter-approved bond measure that passed in 2008, Pomona Unified has been able to embark on a much-needed campaign of upgrading some athletic facilities at its high schools. At Diamond Ranch, players were forced to practice on what Layton called “green weed” instead of grass and never got a chance to play on a field with chalked lines and hash marks until their first game of the season. 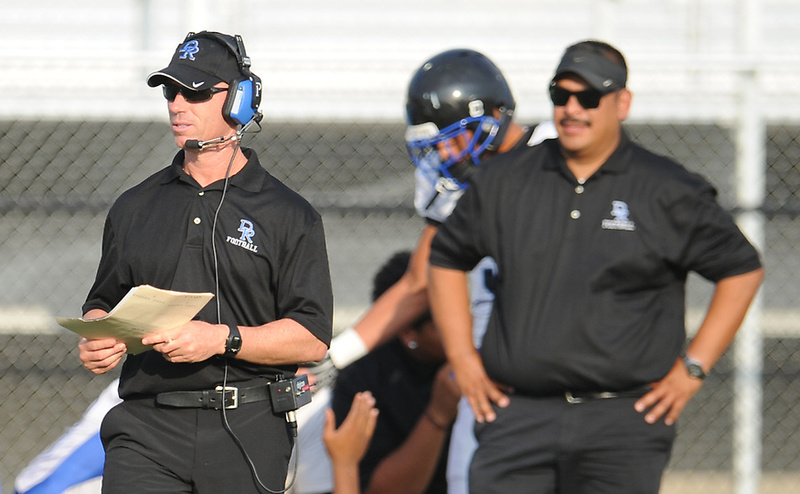 Despite the hardships, Diamond Ranch has been one of the area’s top football programs under Layton, who is entering eighth season as head coach. With Layton at the helm, the Panthers have played in two CIF championship games and have sent numerous players on to play college football. Other schools in the district haven’t been so lucky. Both Ganesha and Garey have fallen hard times and have been given relief by CIF in terms of league and division alignment numerous times. and coaches sticking around as long as Layton has is unheard of. Having to board a bus to play its home games was something that Layton didn’t like, but never made an issue of for fear his players would let it get to them. “I never put it out there because I didn’t want it to be a mental issue, but now that we have our own home field, I will make it an issue,” Layton said. “We used to tell the players that UCLA’s home field was at the Rose Bowl and they’re nowhere near there. Diamond Ranch’s first home game in its new stadium will be on Sept. 6 against El Rancho. The school has intentionally scheduled its lower-level teams to play on the road for their first two games so that the varsity team will be the first to play in the new stadium. Garey will host Pomona on Aug. 30 in what should be a special event for the city. Pomona doesn’t play on its new field until Sept. 13 against Bloomington.